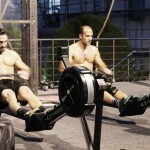 CrossFit, which is a new kind of sport and a fitness trend that has recently become more popular with people who live an active life and try to find the best workout method is effective from the point of view of burning calories, growing the muscle mass, improving your appearance, аnd what is most important, a sport that brings joy and health! Just three hours of workouts a week will produce the cherished result. 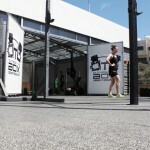 What is CrossFit and how are classes in a new sports centre of Limassol, Camp Geraklion organized? 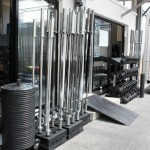 We usually think that the training equipment, which fitness centres use widely are efficient and safe. 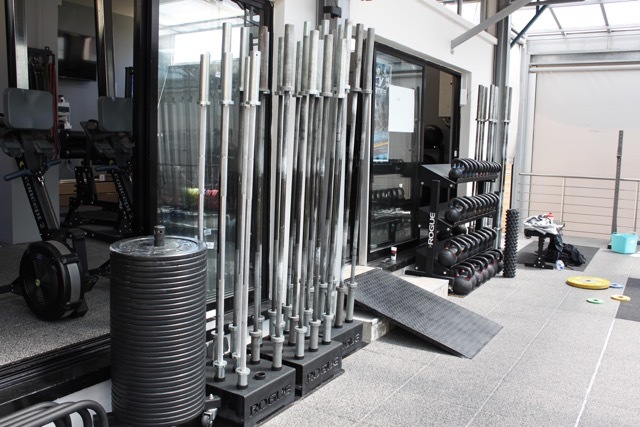 But any experienced sportsman will confirm that working out with ‘genuine’ equipment – bells, barbells and dumbbells – though require increased carefulness, are much more efficient, they work a greater number of muscles, while loading becomes natural. Machines can be bad for joints, which sometimes work in an unusual position. 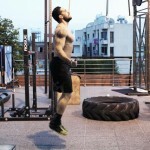 Also, there is an urgent task of combining active cardio training and effective muscle-building exercises. 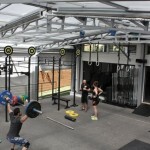 All these tasks are successfully solved by system CrossFit. 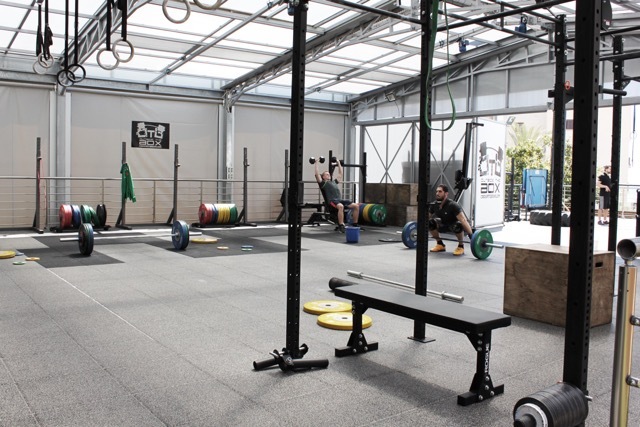 If walking from one machine to another in a traditional fitness club is too boring for you, you will dive in a completely different atmosphere while working out at CrossFit. 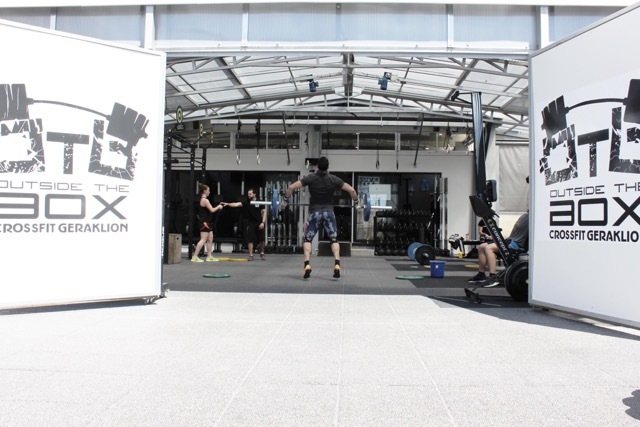 Camp Geraklion organizes group workouts, in which people with a different fitness level can participate. Exercises are the same for everyone, intensity and weights are different. The friendly atmosphere and mutual support is the same. An hour of a workout passes so quickly you will not notice it. 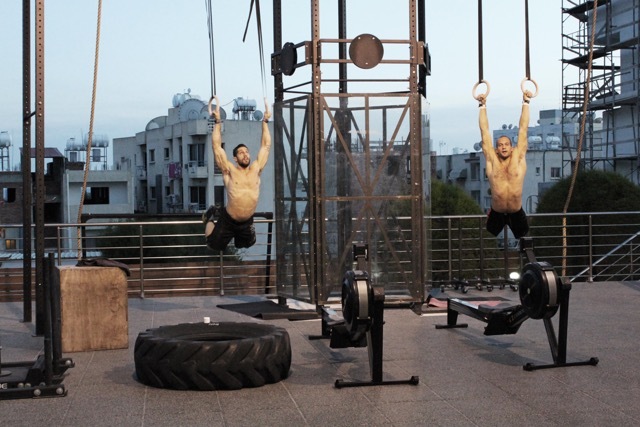 The basis of CrossFit workouts are natural movements, which a man makes in his everyday life: sitting downs, jumps, running, press ups, pull ups, weight lifting, etc. Special attention here is paid to the technique of doing the exercises: the body should not suffer, but enjoy a correct loading. 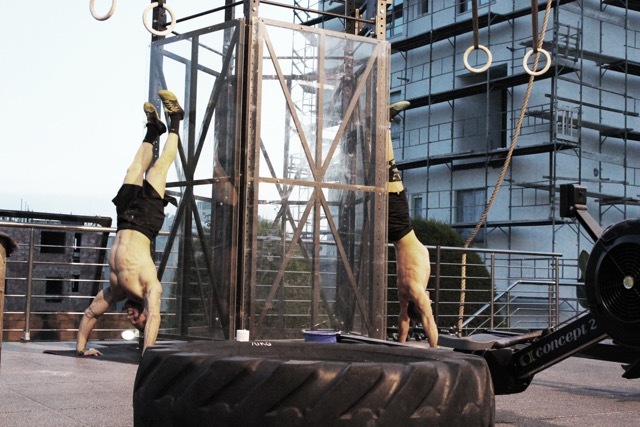 The aim of CrossFit workouts is not only to change your appearance, but also a healthier and a renewed body, a change in the quality of life. The basis of working out is a pyramid: first you make the cardio-vascular system and metabolism healthier, later you are taught the skills of body control your body and external weights management. 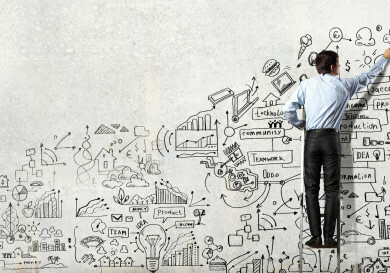 In the end the use all these skills in life, including when doing other types of sports. 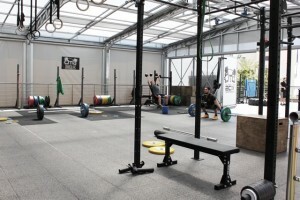 A workout is usually built in the following way: warming up and work to improve flexibility and agility followed by training exercise technique and the power part of the training, the so called WOD, Work out of the day, exercises are done to a circular or an interval system with a minimal rest. 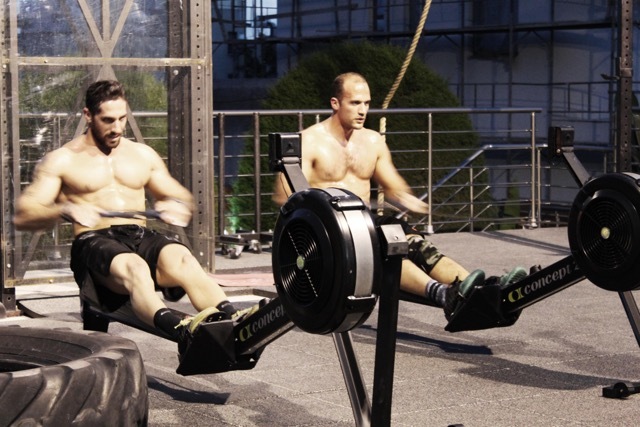 Another name of the work out of the day is MetCon, metabolic conditioning, which perfectly reflects the essence of circular and interval workouts. 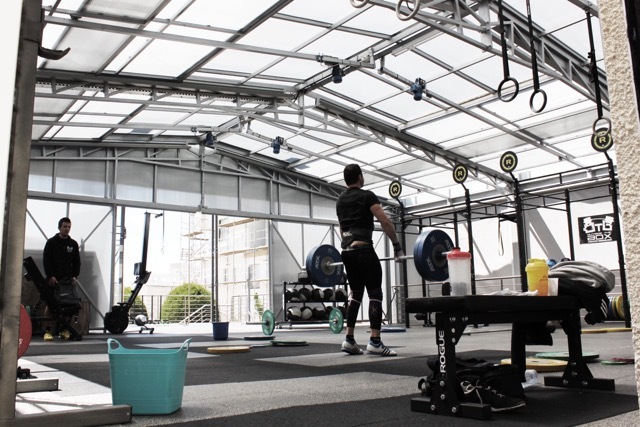 Metabolic conditioning means a higher metabolism in a body, the basis of all processes that are happening in a human body: from a more active process of fat burning and the establishment of a healthy endocrine profile to feeling good and a higher brain productivity. At the end of the workout a cooling down is performed for a gradual decrease of a heartbeat as well as stretching and muscle relaxation. 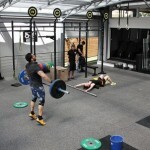 Оne of CrossFit principles is that sport is fun! 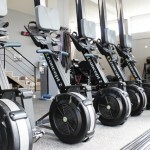 It gives you a unique chance for working out with pleasure not only for grownups, but also for children. 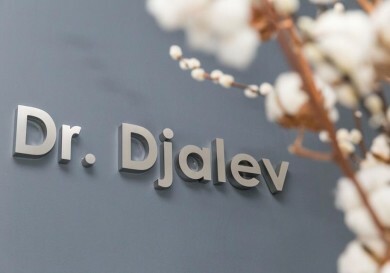 This is especially important for Cyprus, a place where people take active care of their health. 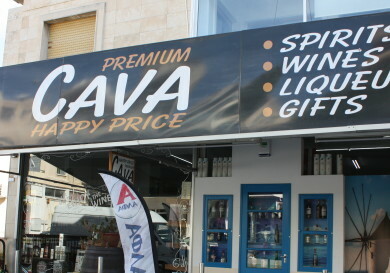 You can’t help but agree that you would want to last your life on Cyprus as long as possible! Camp Geraklion is waiting for everyone. For every person, with any fitness level or its absolute absence – everyone will receive his own load level, no more and no less. I’ve tried it myself! 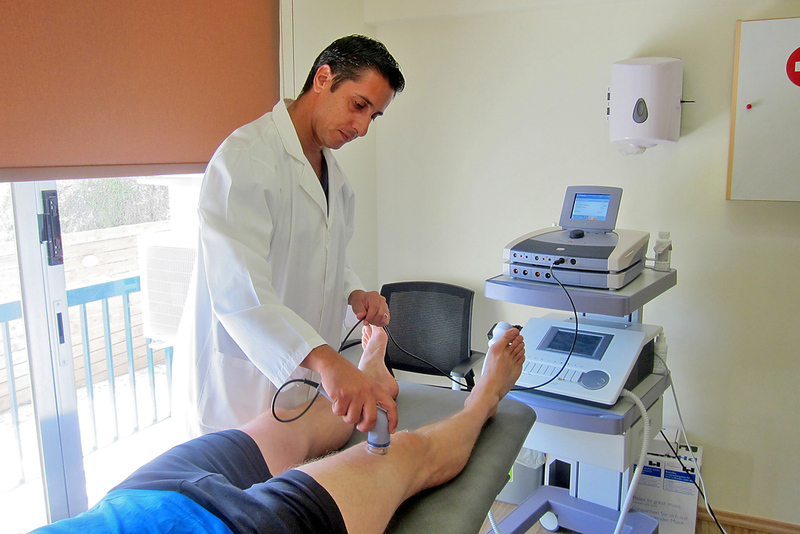 If you have health problems, you will receive a qualified medical consultation in Aphrodite Games Camp, as well as use services of a massage and physical therapist. 4 groups with up to 10 people work now: the morning group at 8:30, and evening groups at 17:30, 18:30 и 19:30. 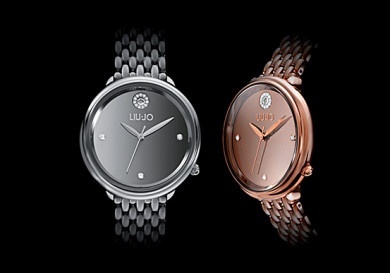 Groups working at 7:30 and 10:30 will work soon, all depends on clients’ wish. 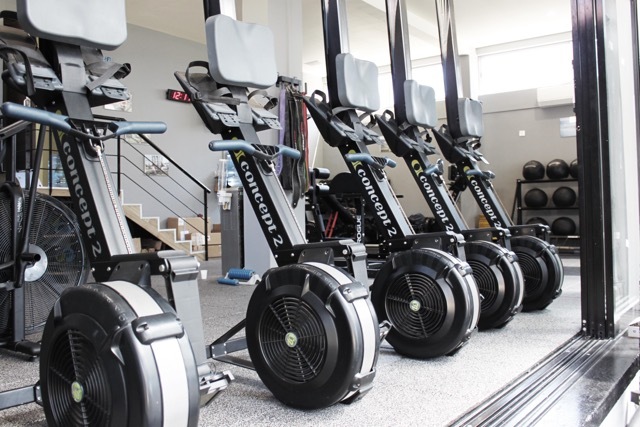 There is a personal workouts option, including classes in mini groups to attain your goals sooner and with a focus on special features of your body. 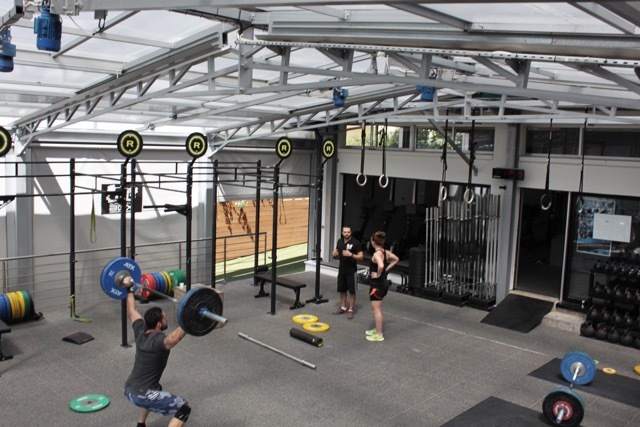 If you attend CrossFit, three one-hour workouts a week would be enough. 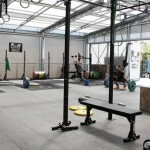 And what is more important, workouts at CrossFit suppose that you will eat healthily, without sticking to a diet. Of course, you will receive nutritionist’s recommendations, but we are talking of wholesome food, which will include all key components – fats, proteins and carbons. In other words, a person will get a chance to live an active joyful life, when healthy food becomes a source of regaining strength, not excessive weight! Camp Geraklion is organized by the Geraclion Russian Fund for Innovation and Modernization in Medicine and Sports as the basis for training sportsmen. 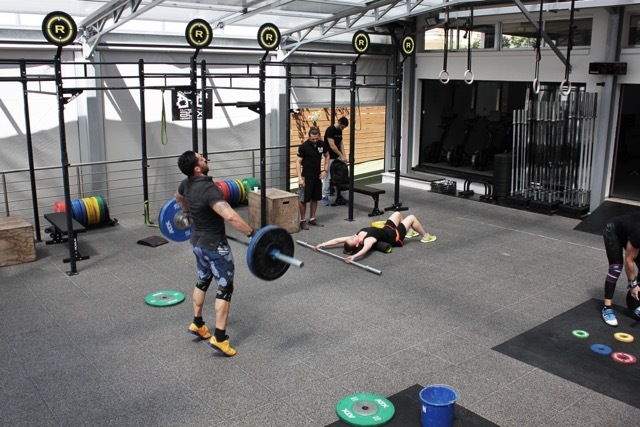 At first, for those who go in for CrossFit, аnd later for sportsmen of practically every kind of sport who would choose Cyprus as a venue for athletic training camps and for recovering after competitions. It should be noted that Cyprus is ideal for training camps, especially during the winter period. Football players and cyclers traditionally choose winter Cyprus. In winter Cyprus is no worse than central Russia in the summer with a pleasant addition in the form of the sea, sun and mountainous air! 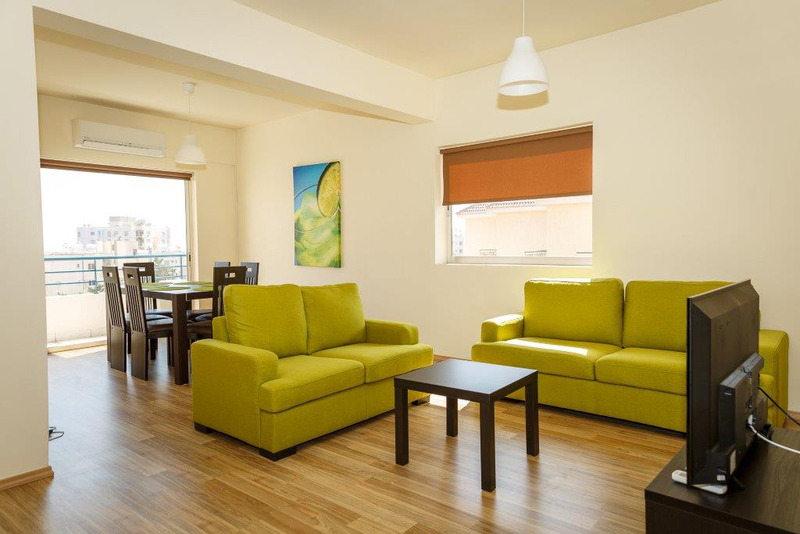 Camp Geraklion has enough comfortable space for a team of up to 30 people. 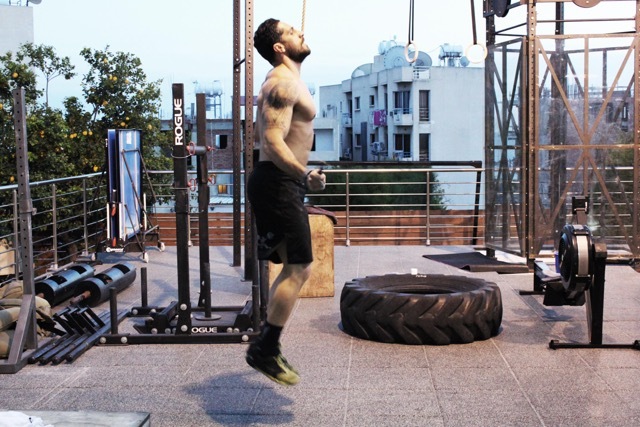 Sportsmen can come with a coach of their own using the sports basis of Aphrodite Games Camp for workouts for a general physical condition, while having wonderful possibilities of Cypriot sports infrastructure at hand for professional workouts. 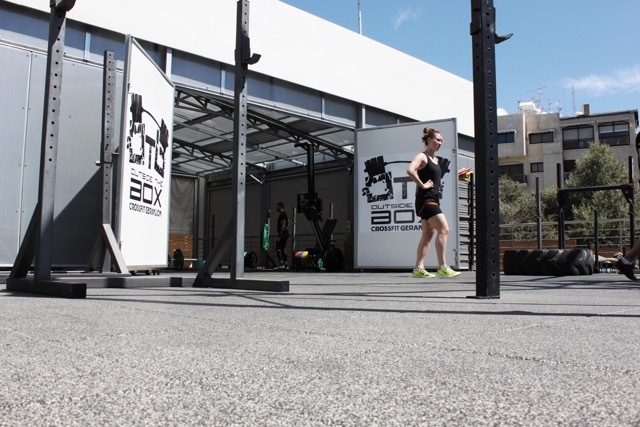 And, of course, Aphrodite Games Camp is an ideal place for organization of international CrossFit competitions – you should not forget the unique location of Cyprus, where you can easily get from any point on the globe. 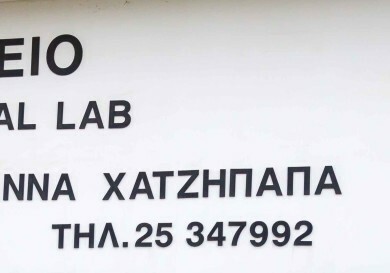 Every Cypriot has a unique chance to attend Oxana Slivenko’s seminars, which take place in Camp Geraklion! 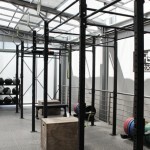 A silver medalist of the 2008 Olympic Games and a multiple world and Europe champion in weight lifting is ready to share her experience in preparations for a Crossfit competition, teach you the technique of competition movements and give an incredible impetus of optimism, a wish to workout and reach new heights in sports and life! Оxana, who embodies a rare combination of femininity, charm and strength, dispels the myth that workouts with barbells only suit men. 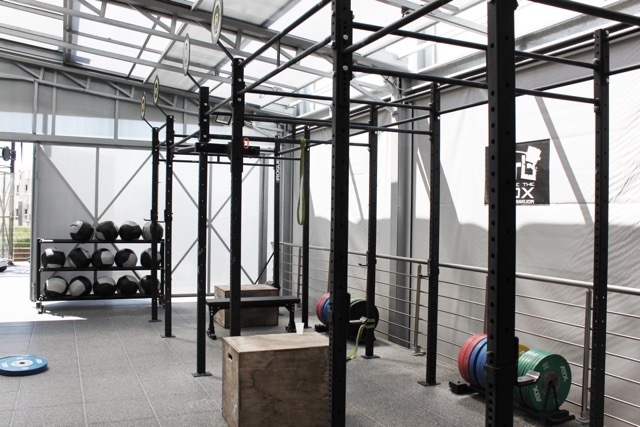 The skill of overcoming obstacles in life and sports, attaining self-belief and a positive mood despite anything – this is the main result of workouts under the guidance of a Master. Camp Geraklion is a unique project, which combines a full-fledged sports camp on the Mediterranean Sea and a modern sports club, whose doors are open for people of any age wishing to live a healthy life. 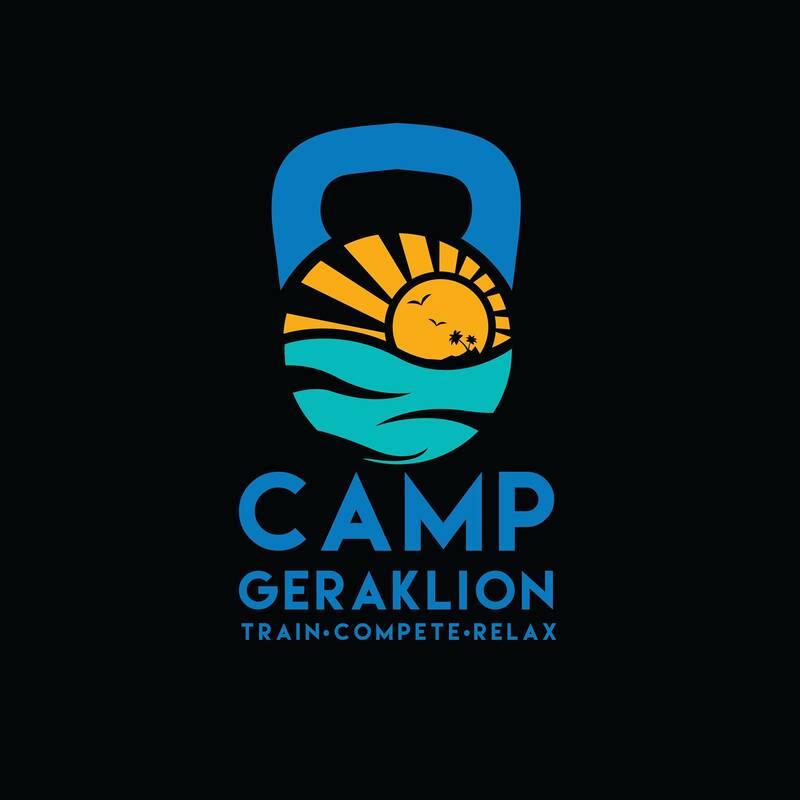 I followed the club’s motto “Make a step to better life!” and started workouts at Camp Geraklion, and I am inviting everyone to join the community of healthy and active people! See you at Camp Geraklion!